Hellllo out there. 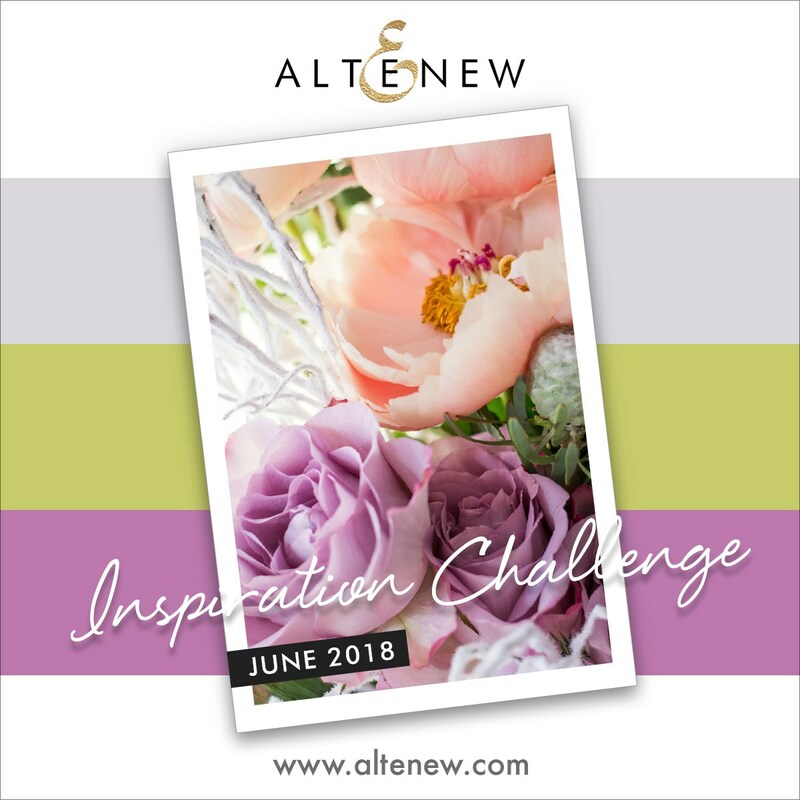 I'm entering this one into the Altenew June Inspiration Challenge. 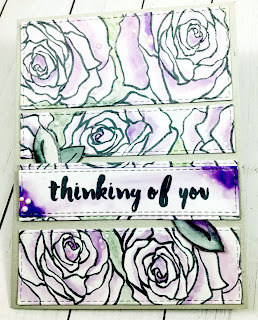 I used the Altenew Penned Rose for this card. I love this rose and decided to create some patterned paper and I think I used a filter that skewed the colors because it looks like purple and gray but it's actually perylene green (Windsor & Newton) and ultramarine pink (Graham) watercolors. 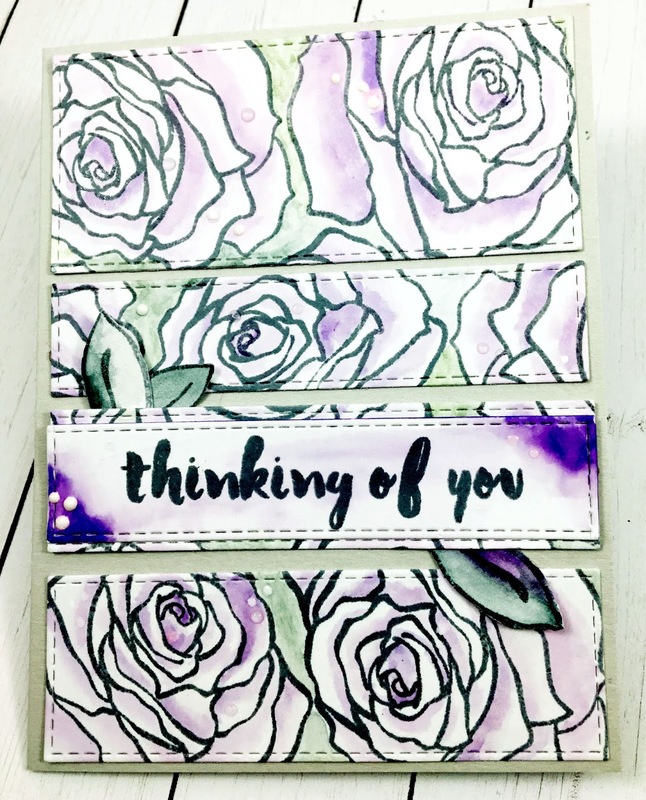 I stamped the rose in Stazon Grey and then watercolored the rose. I did a series of die cuts to fill out the A2 card. 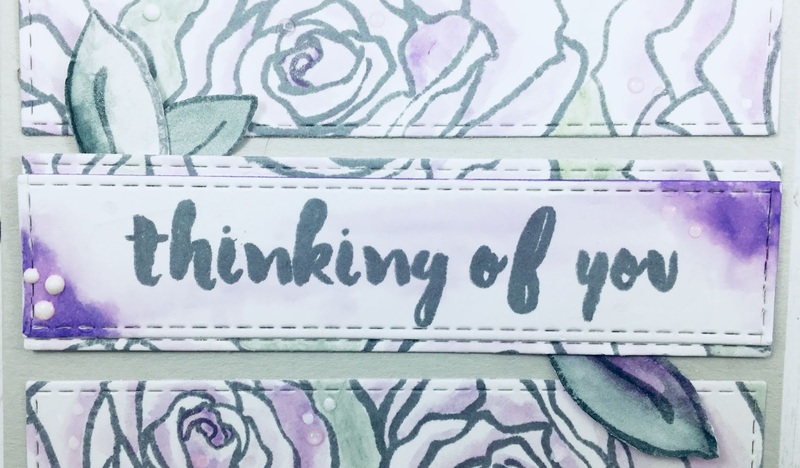 I then stamped the sentiment from Altenew Painted Greetings. I adhered the greeting strip and then used Ranger Enamel Drops in white. Thank you very much for reading. This is so lovely, Mary!! Love the inking that you have achieved! So glad that you join the fun over Altenew May Inspiration Challenge! WONDERFUL!